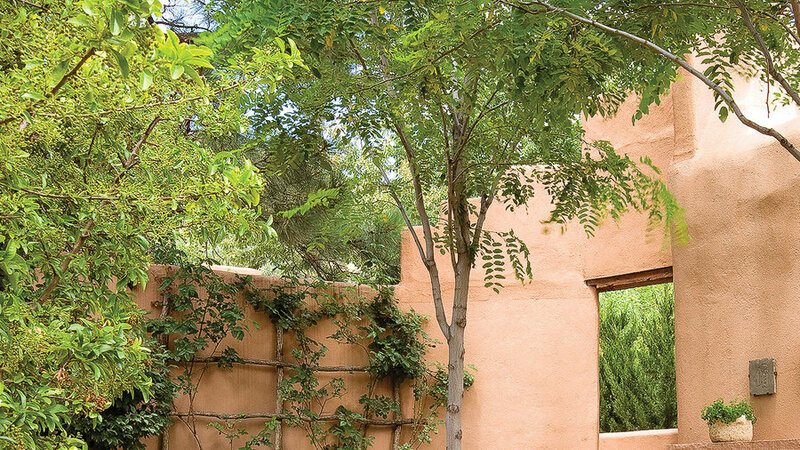 Shade trees, flagstone furnishings, and Santa Fe style give this courtyard its easy charm. 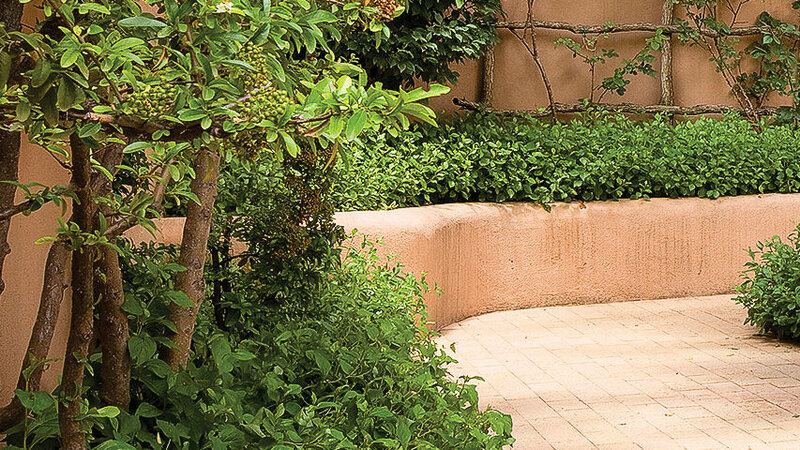 Click through to get a closer look at all the details. 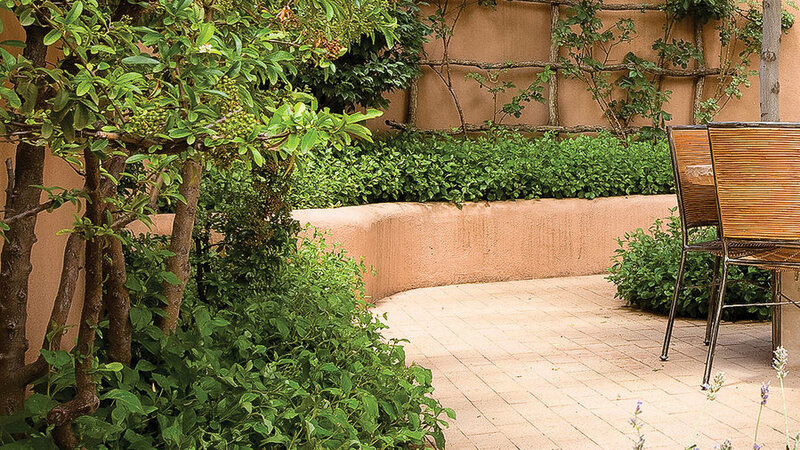 Lacy-leafed locusts (Robinia x ambigua 'Purple Robe'), underplanted with dwarf , provide welcome shade during outdoor-party season, then drop their leaves in winter to let in sunlight. 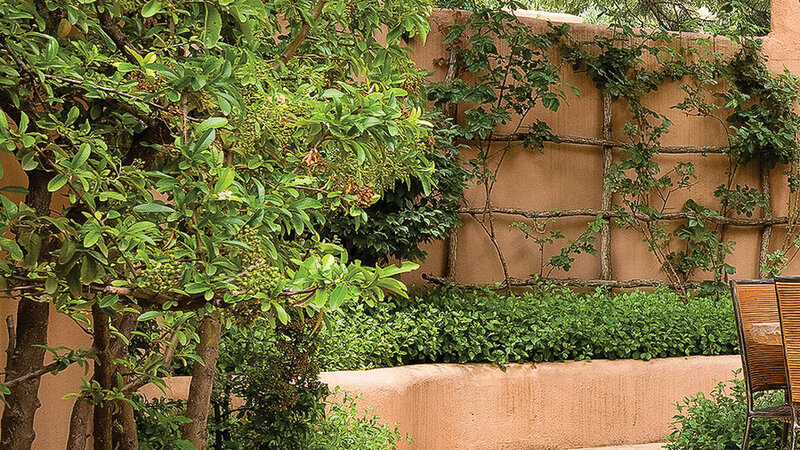 A grid of unpeeled Gambell oak prunings, mounted against the wall, supports climbing roses that bear coral blooms. Its rough-hewn look complements the weathered-wood front door. 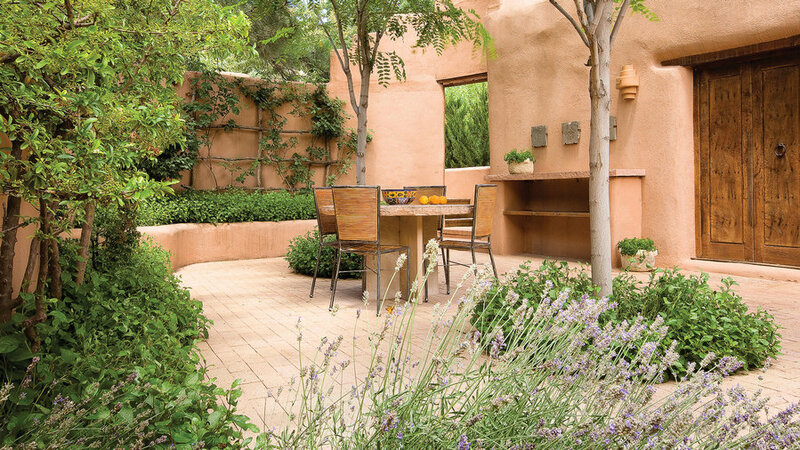 The brick paving and stucco walls that provide privacy are the same soft salmon color as the flagstone. 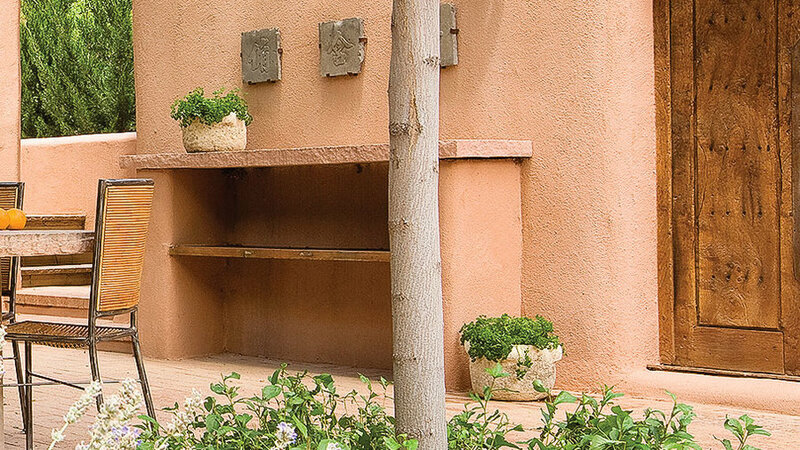 Planted with curly parsley, the pots have a creamy color and rough texture that enhance the courtyard's Santa Fe style.